Drawing Scanning and Indexing, captures data, so you can quickly and easily retrieve your scanned documents using unique document identifiers such as invoice number, customer name, date field, and document type.Accurate indexing ensures that your digitized documents are located quickly and delivered to your computer screen in seconds. Without exact indexing, a scanned image is as useful as a lost document. 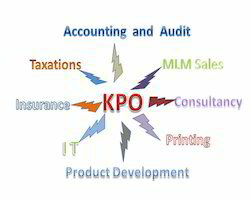 KPO services include all kinds of research and information gathering, e.g. intellectual property research for patent applications; equity research, business and market research, legal and medical services; training, consultancy, and research and development in fields such as pharmaceuticals and biotechnology.